In 2008, Ersela Jordan contacted me and told me that she’d discovered a surfeit of Sears Homes in Beckley, WV. Turned out, she was right! About the same time, another Beckley resident named Sandi Daniels got in on the fun and said that she’d found a Sears Magnolia in a nearby town! Within a few weeks of that first contact, I was in the car, headed west on I-64 toward Beckley, WV. Once I arrived, Ersela, Sandi and I became fast friends and we had a wonderful time together. The three of us together, with Ersela driving, went out to the rural spot where Sandi had spotted a Magnolia. Turns out, it was not a Magnolia. She sent me photos of yet another purported “Sears Magnolia” in New Martinsville, WV. But this time, the picture gave me pause. Sandi and I talked on the phone, and she sent a few more pictures. Within 30 minutes, I was becoming convinced. Plus, Sandi and the home’s owner answered my many questions about the home’s quirky floorplan, well-nigh settling in my mind that this was the real thing. 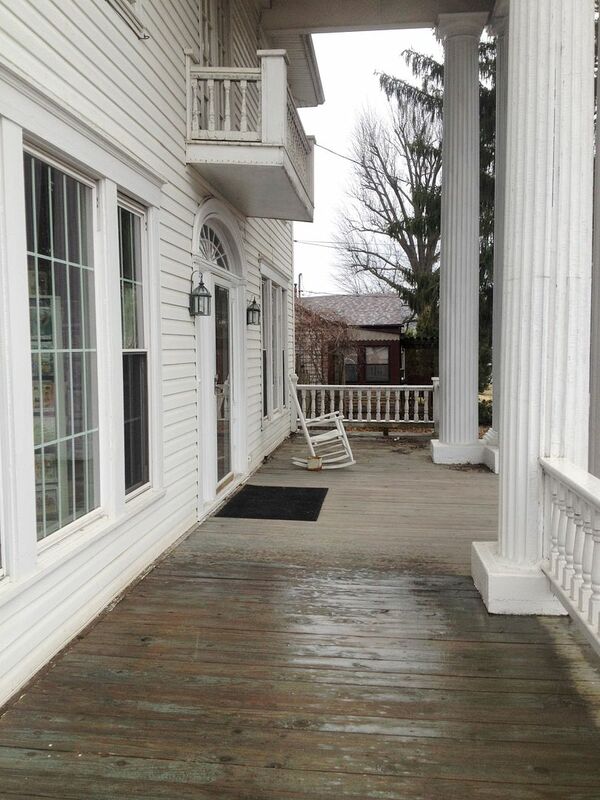 Sandi sent me about two dozen photos of the house, and the photos pretty well cinched the deal. I’m hoping to visit this potential “Number Nine” sometime in late Spring, and get a closer look, but right now, I feel very confident that this could well be another Sears Magnolia. Better yet, it’s the 2nd Magnolia found in West Virginia. Thanks so much to Sandi Daniels for finding our 9th Magnolia! To read about the other Magnolias, click here. Click here to read my favorite Magnolia blog. 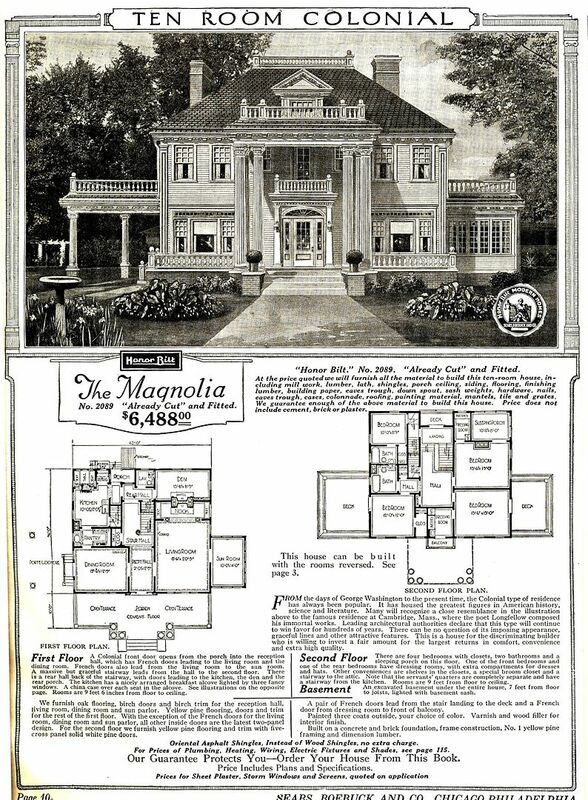 The Magnolia was offered only from 1918-1922, and was featured on the cover of the 1918 Sears Modern Homes catalog. For many years, it was believed that only six Magnolias had been built in the country. 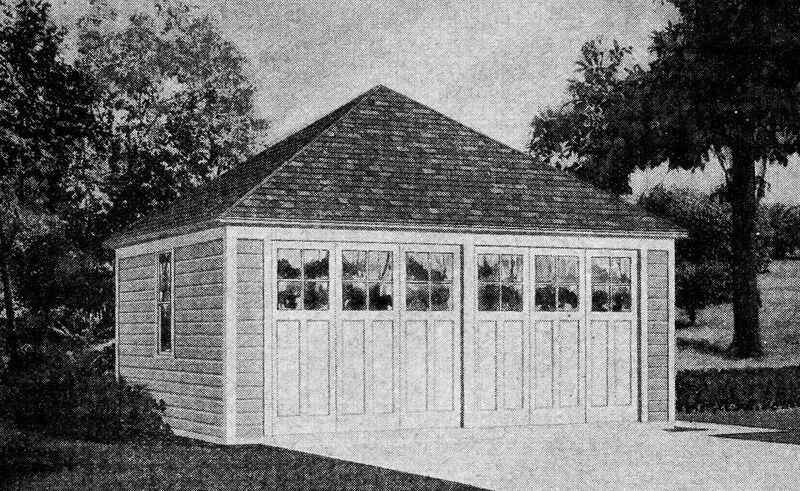 The Magnolia, as seen in the 1920 Sears Modern Homes catalog. 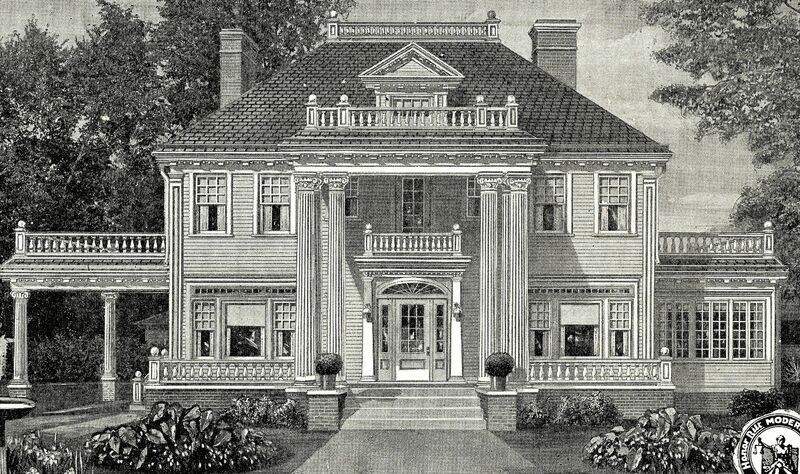 The Magnolia was Sears biggest and best kit home, and had four bedrooms (two of which had dressing areas), a front and rear staircase, and "servants' quarters" on the 2nd floor (upper left bedroom). 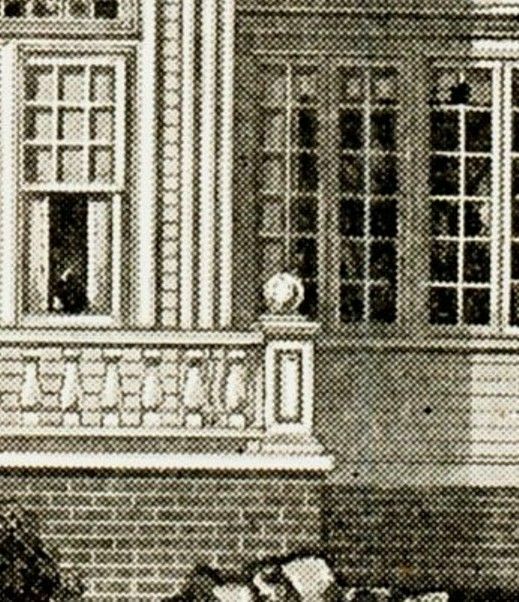 It was a fine house, measuring 40 feet deep and 36 feet wide. 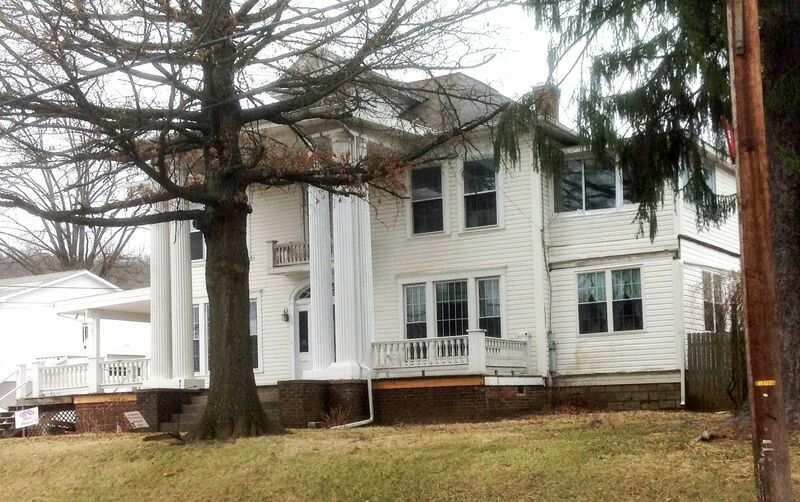 The house Sandi found in New Martinsville, WV has been through a lot of changes. 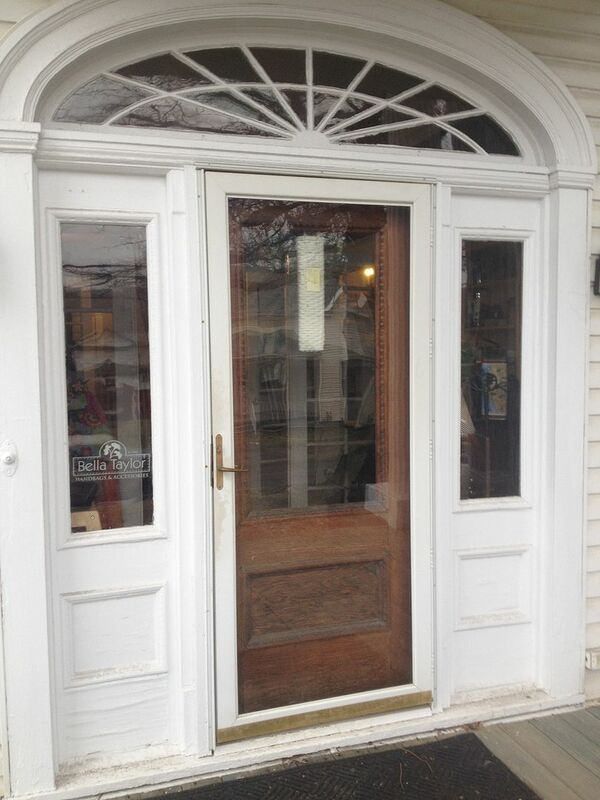 The windows were replaced aand the window openings were altered. Plus, substitute siding was installed. It's also been converted from a residential home into a commercial restaurant and shop. All these changes have really altered the appearance of the house, and yet, based on what I've seen, I'm still willing to declare - with much certainty - that this does appear to be a Sears Magnolia. Photo is copyright 2014 Sandi Daniels and may not be used or reproduced without written permission. After seeing the outside, I felt pretty certain that this was a Magnolia, but after I saw the interior, I became ever more convinced. This is what a Magnolia looks like on the 2nd floor. In the living room, there have been many dramatic alterations to accomodate its conversion into commercial space, and yet I can still see the hints of a Magnolia lurking here. Again, speaking as someone who's inspected the interior of three Sears Magnolias, these proportions look right to me. Photo is copyright 2014 Sandi Daniels and may not be used or reproduced without written permission. 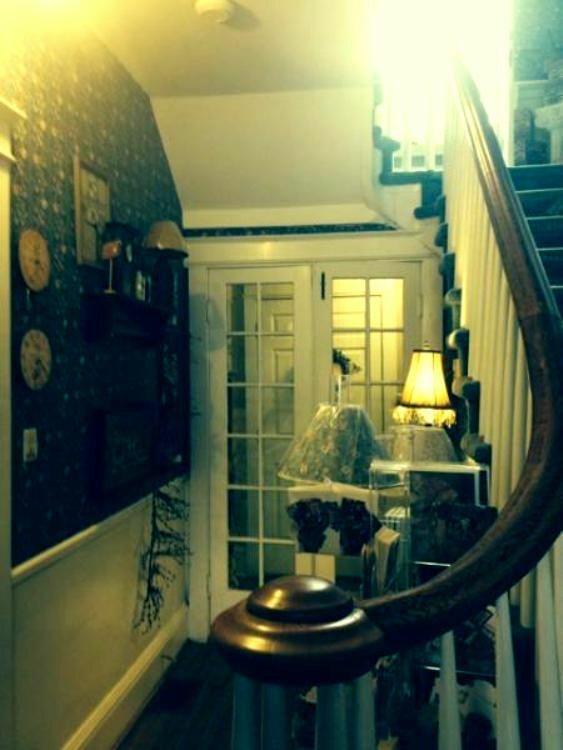 In this picture, you can see the French Doors leading to the rear hallway, and you can see a piece of the French Doors on the upstairs landing. 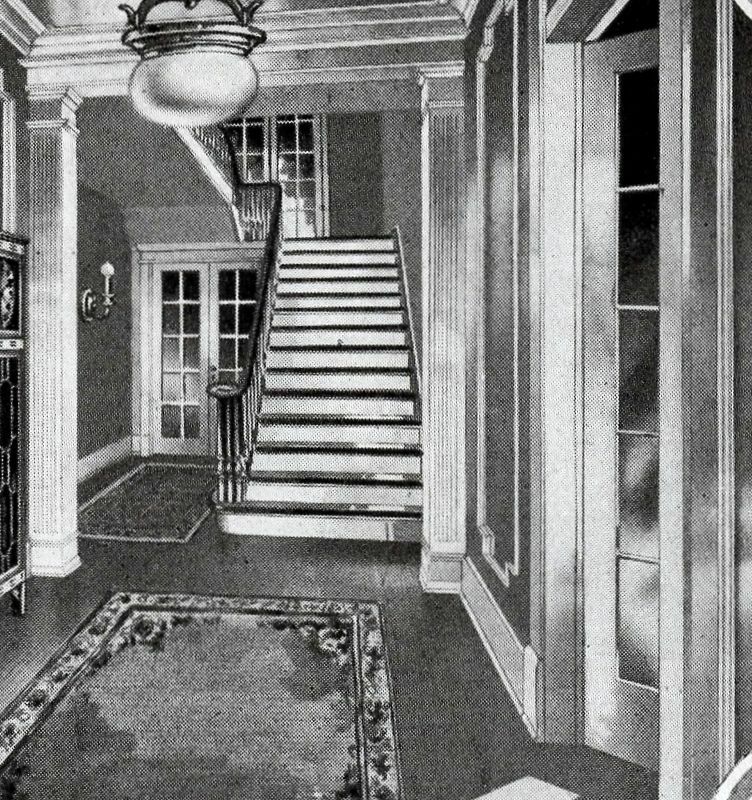 On the New Martinsville Magnolia, the French Doors on the landing now lead to another room (added to the back of the house). Photo is copyright 2014 Sandi Daniels and may not be used or reproduced without written permission. 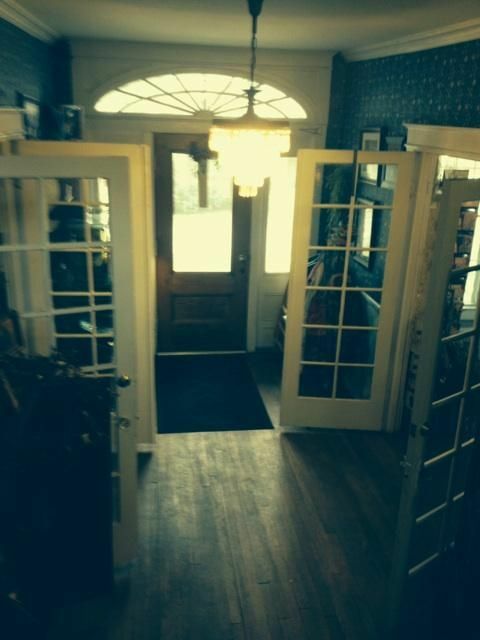 Another view of those French Doors on the 2nd floor landing. And just beyond those French Doors (on the first floor, to the left of the staircase) is another door which is *also* a quirky feature, unique to the Sears Magnolia. Photo is copyright 2014 Sandi Daniels and may not be used or reproduced without written permission. 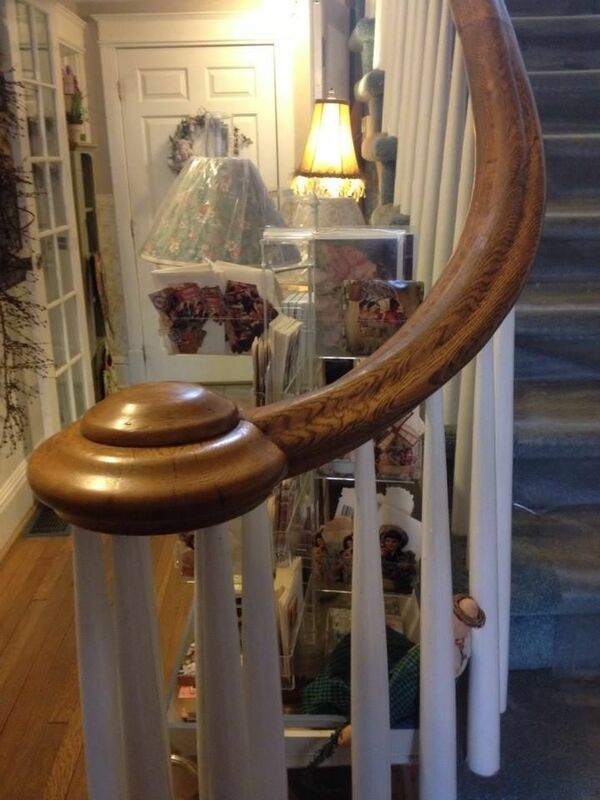 If you mentally close those French doors to the left in Sandi's photo, you'll see that this is a near-perfect match, down to the unusual volute on the staircase. The spindles in the New Martinsville house are tapered, which I have seen in other high-end Sears Homes.The flair at the base of the stairs is an enhancement, buut for an experienced carpenter, this would be an easy alteration. .
Look closely, and you can see another doorway tucked back in that rear hallway (beyond the French Doors and to the left). 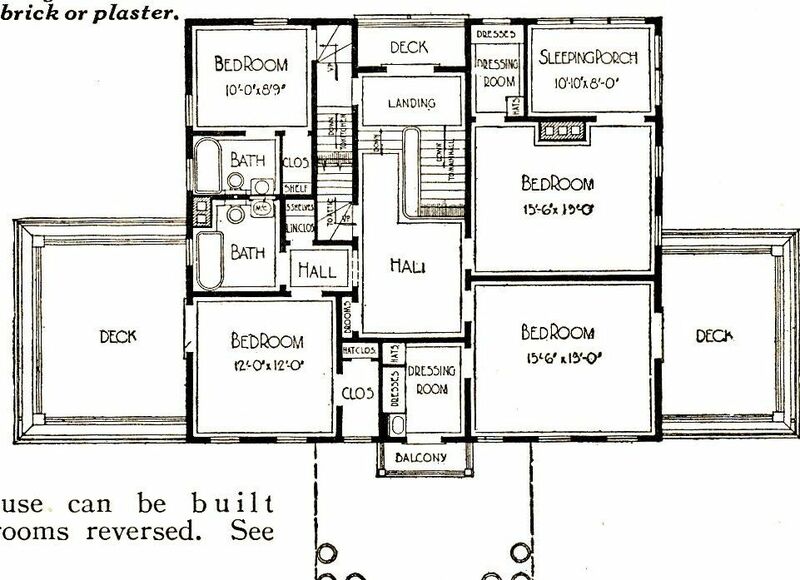 This is also true to the Magnolia's floorplan and lends even more support to my burgooning hope that this is the real thing. And you can also get a better view of the volute. Photo is copyright 2014 Sandi Daniels and may not be used or reproduced without written permission. And there's the outside. 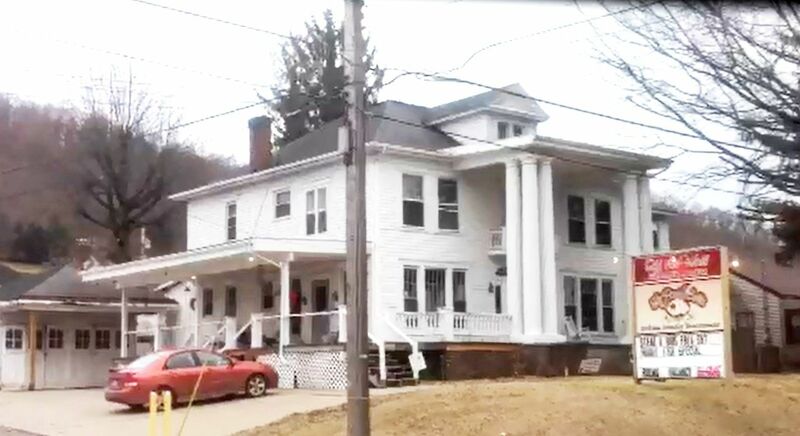 The house has been through a whole lot of changes, but I like the look of these proportions, too. It's unfortunate that when the front windows were replaced, the 15-marginal lites at the top were removed, and extra tall windows installed, but that's how it goes. At least it's still standing (unlike the Magnolia in Nebraska). Photo is copyright 2014 Sandi Daniels and may not be used or reproduced without written permission. It's still a fine old house. Photo is copyright 2014 Sandi Daniels and may not be used or reproduced without written permission. And retains some of its original grandeur. Photo is copyright 2014 Sandi Daniels and may not be used or reproduced without written permission. 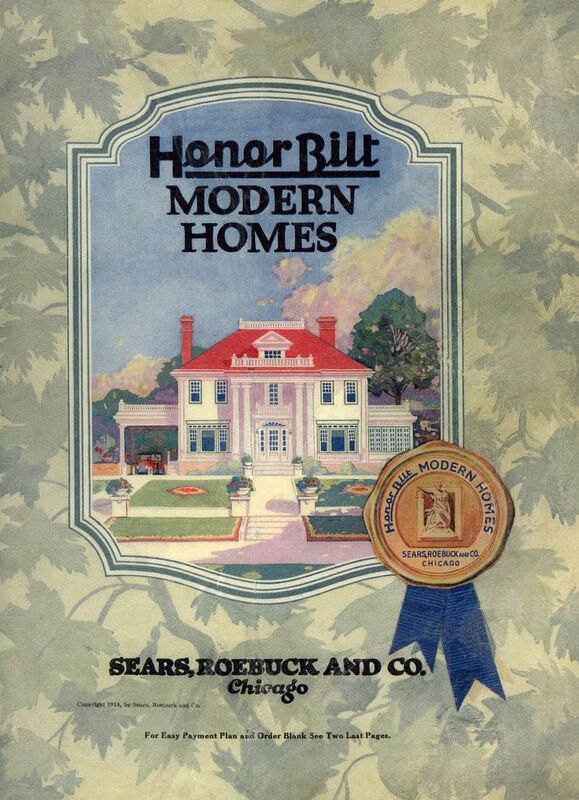 More than 30% of Sears Homes were customized when built. 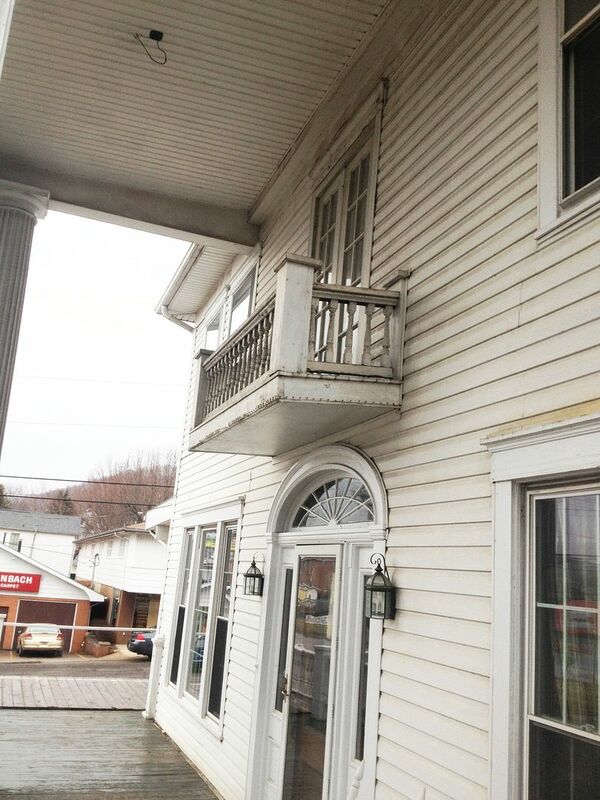 Upstairs, on that 2nd floor balcony, someone opted for French Doors instead of a single door flanked by two small windows (as indicated in the original catalog images). Take a look at the floorplan in this area, and you'll agree, this is a good choice. Photo is copyright 2014 Sandi Daniels and may not be used or reproduced without written permission. 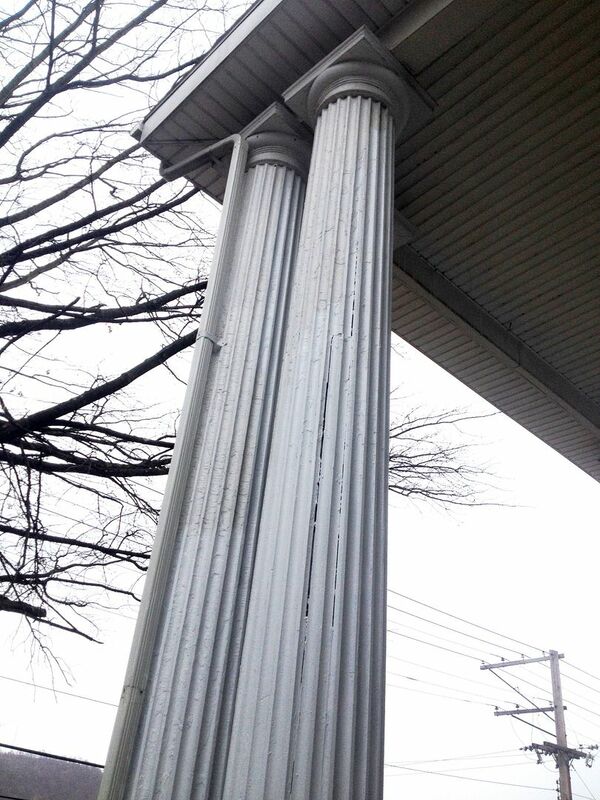 The original columns were preserved, but it looks like someone, desperate to deal with the rotting bases, wrapped them in concrete. Photo is copyright 2014 Sandi Daniels and may not be used or reproduced without written permission. This little detail - something the siding installers left behind - also gives an important clue. 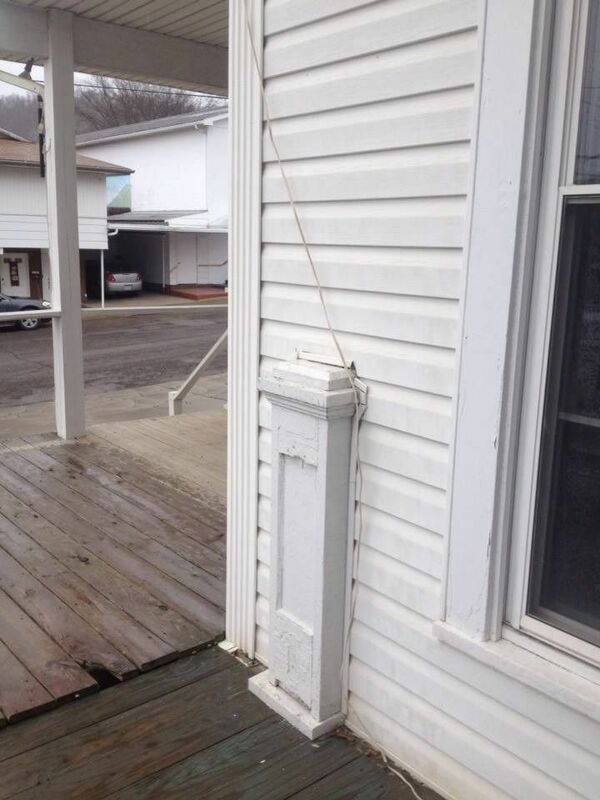 BTW, look at how the siding installers "wrapped" the trim around this post. <shudder> Photo is copyright 2014 Sandi Daniels and may not be used or reproduced without written permission. That paneled post shown above - is just what I'd expect to see on a Sears Magnolia (minus the wooden ball on top). If this house is not a Magnolia, it's a darn good look-alike. 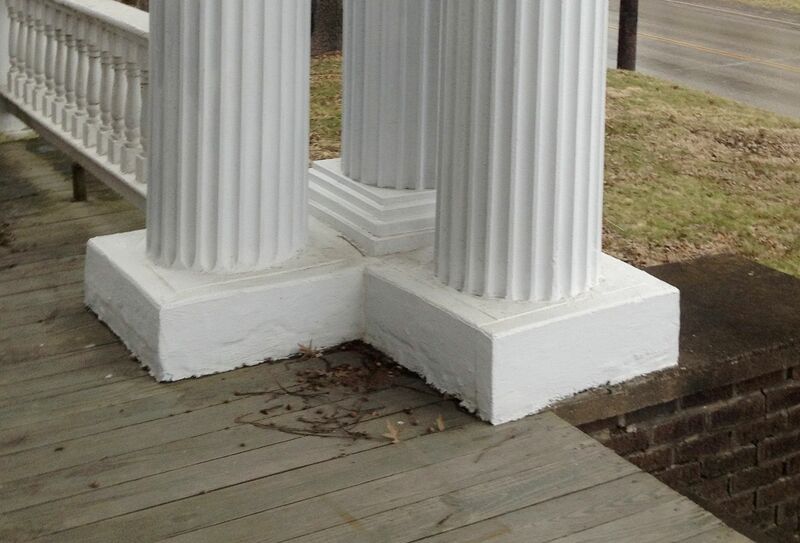 This picture also shows the Magnoliaa's pilaster - yet another little detail - that is spot on. Photo is copyright 2014 Sandi Daniels and may not be used or reproduced without written permission. But is it our 9th Magnolia? I feel confident that it is. :) Photo is copyright 2014 Sandi Daniels and may not be used or reproduced without written permission. 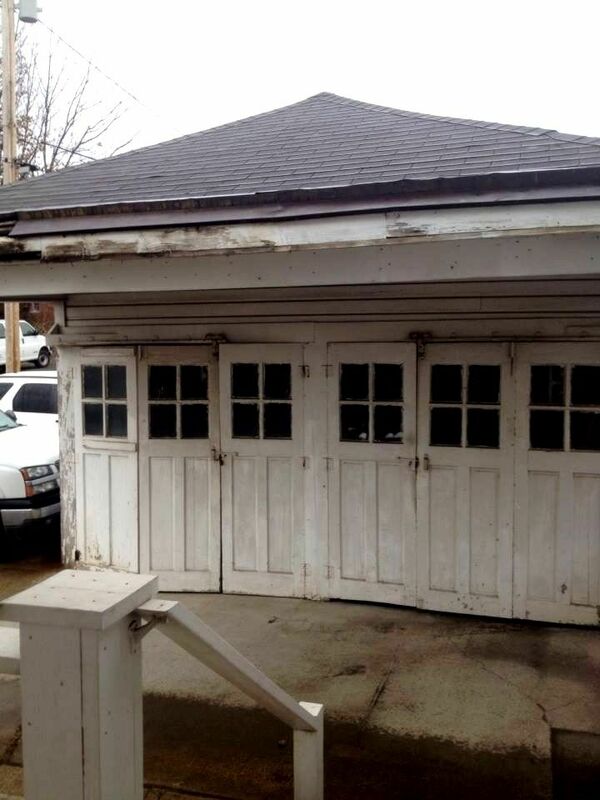 And while we're talking about Sears Houses, I suspect that this is a Sears garage. Photo is copyright 2014 Sandi Daniels and may not be used or reproduced without written permission. Pretty nice match, isn't it? Well let me know if you can meet me there in April! Sounds like there may be a few other things we need to investigate within a few blocks. I think I spotted a Lynnhaven in Barbersville yesterday. Passing it again today on my route, so I’ll take a pic and send it on. Number 10 is close….I can feel it!!! I just published a novel earlier this very month. 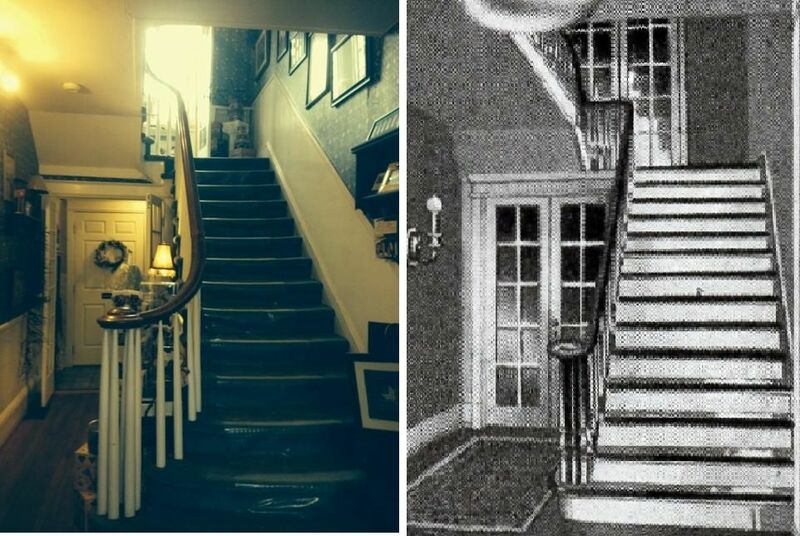 A sub-plot involved the discovery of the 9th Magnolia which had been painted solid white and whose ground floor was being used as a restaurant. Gotta love a good coincidence. This looks like a winner! Guess I need to start rooting for the next one now. Come on number 10! All these coincidences are getting a bit scary! Have i entered The Twilight Zone???? In reguards to #9 it belongs to Dave and Anke Hunt. Was puchased in 2001. 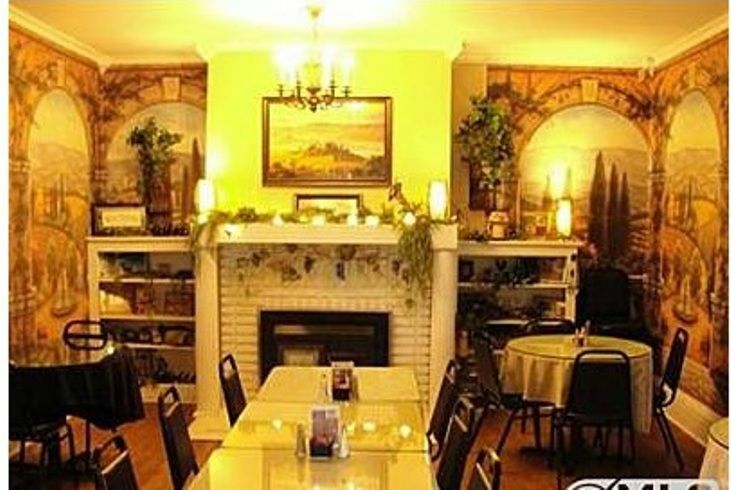 It is home to a gift shop and resturant. Sorry to say exterior does need TLC. 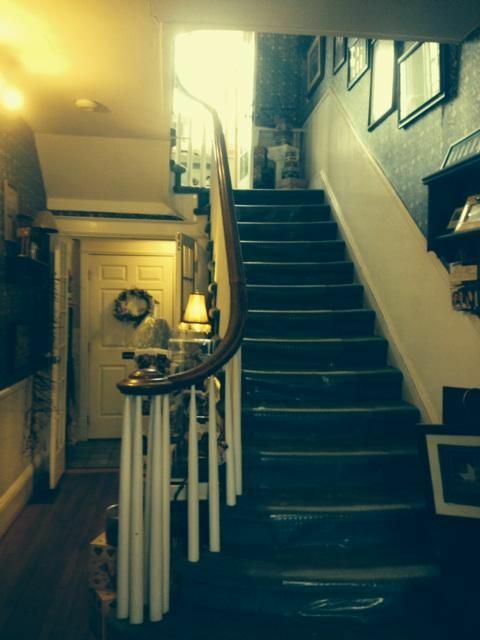 Also upstairs is a Bed and Breakfast. We’d love to have you visit sometime and check it out. I’m told there is another Sears home, about 5 miles to the south, of the one in New Martinsville (WV), on Helen Street, in Paden City (WV). 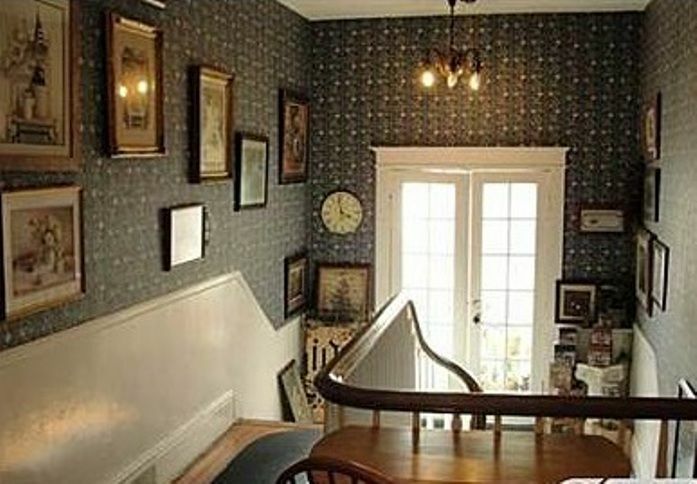 I believe the home in New Martinsville you have in the photograph was bought and built by Harris and Maude Hawkins. My father was their youngest son, Jack Hawkins. We toured the home over 47 years ago when visiting New Martinsville. Village For Sale. Cheap. Rose Returns to Richmond?